Yesterday the man and I had an afternoon date and surprised me with tickets to see Grease The Musical. It was awesome. 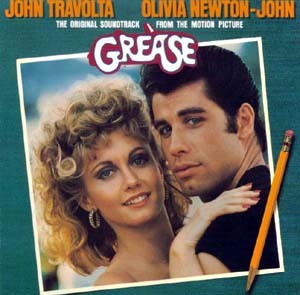 I’m generally not a fan of musical’s but Grease is one of my favorite movie’s. I can’t even tell you how many times I’ve seen it. I remember the first time it came out at the movies. I’m sure I’m dating myself here. If you’re not familiar with the movie, Grease is set in 1959 at fictional Rydell High School, follows ten working-class kids as they master the arts of love, cars, heavy petting, and smoking – typical high school antics. The show was awesome. It was about 2.5 hours and made you feel like singing and dancing with the cast. Well, I admit, I was signing and my foot wouldn’t stop moving. If you like musicals and you haven’t seen this one yet, I definitely recommend it. Grease is and always will be one of my favorite movies of all time, but I have to say that I saw the musical probably about 8 or 9 years ago now and was disappointed. Hardly any of the music from the movie was part of the show and it was like they focused on the background songs in the movie instead. Oh well.